Leonardo da Vinci may be the best biography of the year. It has certainly received the most hype, and in this instance it rises to the level of approbation heaped upon it. It is well worth the effort it takes to read such a comprehensive account of one man’s life. Leonardo is a slick, beautiful book, and “slick” is not a pejorative here. As befits the subject, the book is printed on high quality, glossy paper such as one might find in the best art books. The paintings and drawings reproduced herein often seem to leap from the page since they are so vividly reproduced. 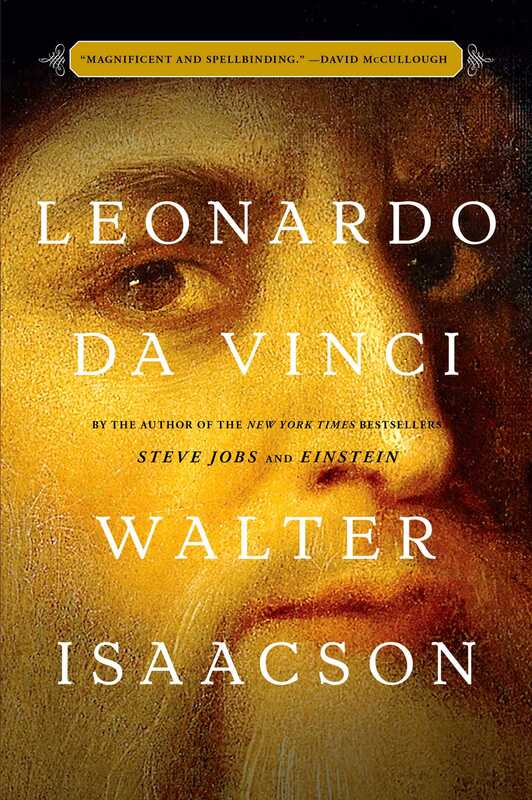 Similarly, Isaacson brings Leonardo vividly to life. His illegitimate birth, Isaacson believes, was a key to Leonardo’s freedom to become the man we know today. Had his father married his mother, Leonardo would have been doomed to become a notary, just as his father and his family’s firstborn sons had been for generations. Yet, when his mother married, Leonardo’s father brought them into his household and provided support for a time. Isaacson chose to write about Leonardo because he is the “ultimate example of the main theme of my previous biographies: how the ability to make connections across disciplines—art and science, humanities and technology—is the key to innovation, imagination, and genius.” Benjamin Franklin, Albert Einstein, Ada Lovelace, and Steve Jobs, he continues, are prime examples of polymaths who are able to make and utilize these connections. Leonardo’s “genius” did not come as a stroke of lightning from divine inspiration, contrary to the opinion of Giorgio Vasari, who wrote a biography of Leonardo in the sixteenth century. Rather, it was “curiosity and imagination” that fueled his intense desire to know and do everything. His powers of observation were acute. In his notebooks, for example, he wondered what a woodpecker’s tongue looked like. He had no need to know for a particular useful purpose; he simply wanted to know. See the very end of the book to discover the answer to this intriguing question. While Leonardo was an indifferent student, he was curious. Isaacson’s brilliance as a historian is his ability to sift through a host of primary materials and numerous biographies and profiles with their varying interpretations and synthesize this mountain of information into a cogent, focused, and exceptionally accessible biography. Footnotes, endnotes, a bibliography, and an index are standard stuff, but Isaacson adds one feature that nearly every historical account ignores: he tells the reader the value of Italian money in 1500. How many times have we read some dry tome that tells us that some commodity cost “20 ducats” and provides no reference point? Isaacson tells the reader early on that a ducat was worth about $138. That is a small point, but it underscores the care which he took in writing this stupendous biography.